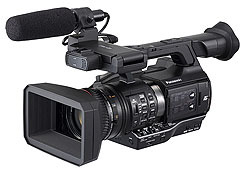 Panasonic AJ-PX230 is designed and built with the mind of low-budget and value for money Micro P2 handheld camcorder. 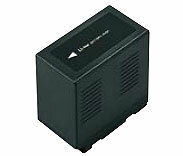 It has most of the features of AJ-PX270 except IP functions and records on Micro P2 / SD card only. With 3 x 1/3 types megapixels Cmos Sensor, and 22X zoom lens which covers wide 28 mm to tele 616 mm (35mm equivalent) zoom range, three external ring control, plus a OLED Viewfinder, AJ-PX230 offer the higher video quality with great flexiability. Added to that it is capable of recording in 10-bit, 1080p AVC-Intra and AVC-LongG codecs. With its great Optical image stabilizer , you no more have to worry about your handshake or jitters while recording. AJ-PX230 high quality and sensitivity Cmos sensor enable you to capture stunning video even in poor light conditions. 2.2-megapixel 1/3-type 3MOS (RGB) image sensors offer full-pixel HD (1920 x 1080) resolution, F11 (59.94 Hz) or F12 (50 Hz) sensitivity and low noise. They also achieve the same maximum 600% level of dynamic range as many high-end shoulder-type models. This captures rich data all the way from highlights to shadows, to render truly realistic images. Features such as color grading also expand post-production flexibility. FILM-REC Gamma obtains a latitude that exceeds the CINE-LIKE D mode in previous camera recorders. Gamma curves can be selected from 7 modes (HD/SD/FILMLIKE 1/FILMLIKE 2/FILMLIKE 3/FILM-REC/VIDEO-REC). The Variable Frame Rate function (AVC-Intra100) was inherited from Panasonic VariCam. Featuring a variable frame rate of 1 to 60 fps, this function creates a wide range of film-camera-like images, such as overcranking for slow-motion and undercranking for quick-motion effects. The Panasonic AJ-PX230 features a viewfinder with a high-resolution OLED display (approximately 2,360 K dots; image display area: approximately 1,770 K dots) for least image delay and excellent color reproduction. The LCD monitor uses a QHD IPS LCD panel which allows easier focusing. AJ-PX230 features the AVC-ULTRA codec family that helps to fulfill the needs from mastering to streaming, the shooting modes can be selected for either image/production and long time recording. AVC-Intra: An intra-frame compression method that is highly suited to image production. In addition to the conventional AVC-Intra100/50 codec, the Panasonic AJ-PX230 features the AVC-Intra200 codec with twice the bit rate (10 bit quantization, 4:2:2 sampling, and a bit rate of approximately 200 Mbps for 1080/59.94i). It offers a level of quality that meets the needs, from mastering and archiving. AVC-LongG: This inter-frame compression method achieves highquality HD recording at a low bit rate. Ideal for providing on-air content direct from the shooting location and for workflows using content transferred over the internet. Three bit rates are available: AVC-LongG50/25/12 Mbps. AVC-LongG25 provide 10 bit/4:2:2 quality at a bit rate of approximately 25 Mbps. AVC-Intra and AVC-LongG modes support 24 bit digital audio recording (16 bit for AVC-LongG12, DVCPRO HD, DVCPRO 50, DVCPRO and DV). The AJ-PX230 offers 4 channel audio in all recording modes. Channel input is located in front and rear (both selectable from mic/line). The level volume also supports 4 channels. AJ-PX230 comes with two microP2 card slots. PX230 offers multifunctional recording which includes the following functions. • Simultaneous Rec: Records simultaneously onto two microP2 cards. • Background Recording: Slot 1 records with the Rec Start/Stop control, while slot 2 continues recording even while recording is stopped. • Hot-Swap Rec: Thanks to the two card slots, you can hot-swap microP2 cards for continuous non-stop recording. • One-Clip Rec Mode: Records up to 99 consecutive cuts as a single clip. A text memo is automatically attached to the Rec Start point for easy searching for the beginning of the cut. • Pre Rec: This stores approximately 3 seconds of HD or 7 seconds of SD video and audio data in memory while in standby mode and lets you recover and use the data from the point before you started recording. • Loop Rec: Maintains a recording of a certain time period through repeated loop recording. • Interval Rec: Records intermittently based on a set interval time. • One-Shot Rec: A frame-shot recording function for producing animations. • Text Memo: Up to 100 memos can be posted onto a clip as bookmarks. • Shot Marker: Used to mark clips as OK, NG, etc. • Last Clip Delete: Deletes the last recorded clip with a single touch. • Rec Check: This lets you run a quick playback check of the clip-end you have just recorded. • Metadata: The metadata function attaches metadata (text memos tagged to time, GPS data, selected character strings and frames) to P2 files. Metadata can be used effectively for searching and management, facilitating the editing, distribution and archiving of video data. It was great for me to to find Expandore, who can support our requirement for Panasonic AJ-PX230P2 HD Camera in Singapore, Philippines and Indonesia. We are considering to get AJ-PX270 too soon. Thanks you very much for recommending this AJPX230 to replace our AG-HPX250 P2 . I am ok with recording with Panasonic P2 Micro media, and thank for informing us that the future upgrade will enable us to record in SD card with the same format without compromising the recording quality. just to let you know that I had a wonderful-day shopping at Expandore today! Talking to you and Felix made me feel relax as you guys know your stuff. Keep it up. Also the joke today was i came home to charge the gopro5 and after a few hours of charging i realized that the battery was in the box instead. hahaha. stay in touch fellas. The waterproof feature of GoPro Hero5 Black camera was very good. I used to face hassle with the polycarbonate waterproof housing when using the old Hero camera. Now, I can be hassle free in capturing the beautiful pictures of the swimming creatures during my recent snorkeling trip on Tioman island.